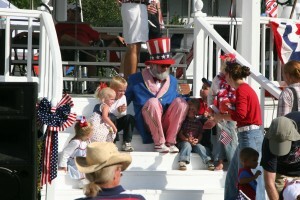 This 4th of July visit Jefferson, Texas and see a Norman Rockwell painting come to life. 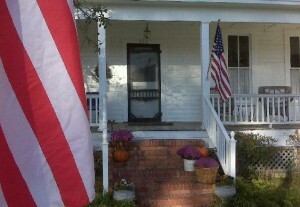 As you drive into town you cant help but notice the abundance of American flags in front of businesses and on front porches. The event starts at 5:00 PM in Otstott Park, which is located at the corner of Vale Street and West Lafayette. There will be a children’s parade, kid’s games, a duck race and face painting.Hot dogs and cold drinks will be served for the hungry and there will also be an ice cream contest, along with a home made pie & cake auction. 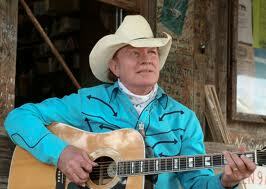 Music will be supplied by Jefferson’s Sweet Adelines and by the Shreveport Metropolitan Concert Band. The evening wraps up with an immensely dynamic fireworks show at 9:30. “Jefferson Salutes America” is sponsored by the Tracy Law Firm of Dallas, Texas and the City of Jefferson, Texas. We look forward to celebrating with you this 4th of July in Jefferson! 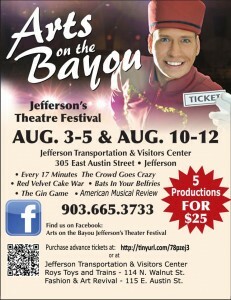 Jefferson- The first two weekends in August, the City of Jefferson will host the First Annual Arts on the Bayou Theater Festival! See all five productions for about the same as a single ticket. $25 buys entrance to all five productions! 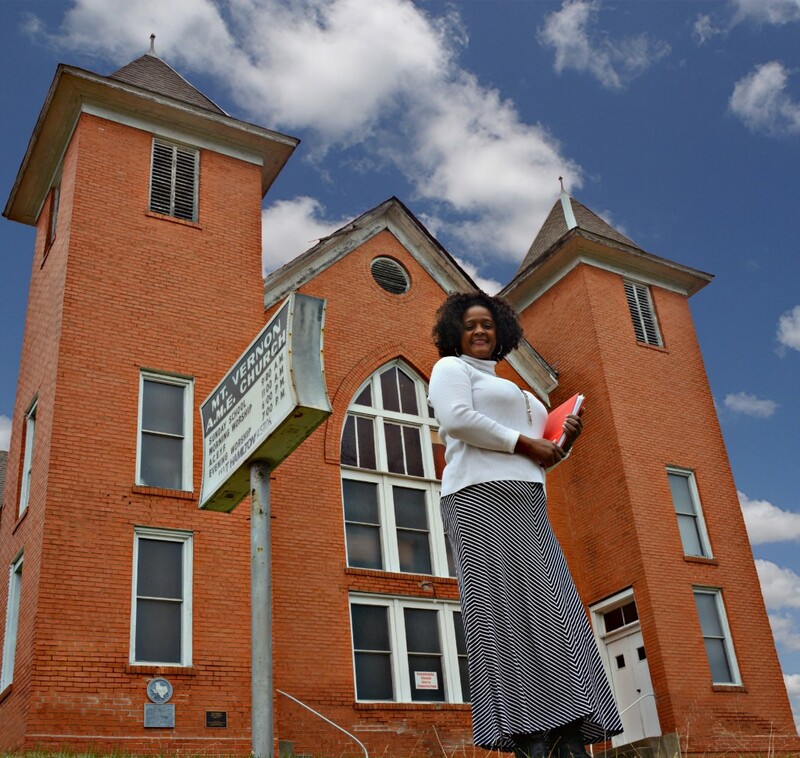 Support the arts in East Texas and visit beautiful Jefferson this August!